We Took the Road Less Traveled: ...You really like me! 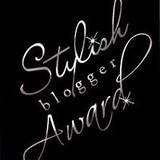 So sorry to go all Susan Lucci on you all, but I won my first blogger award yesterday!!! My lovely new friend Erinn over at As it were or even if it weren't bestowed upon me this awesome award! Thank you SO much Erinn! It made my Monday! Now to follow through with the rules that come along with this award, here are 7 things about me that you may or may not know. 2. I graduated college with a BS in Nutrition and Wellness and a minor in Public Health Education. Kinda makes the above fact even sadder, huh? 3. I traveled to Uruguay in South America on a mission trip with my church back home when I was in high school. It was one of the most amazing experiences of my life. 4. My all time favorite movie is Step Brothers. You thought I was going to say Steel Magnolias, didn't you? Well, that one is a very close second! 5. I've been to 2 Backstreet Boys and 3 'NSync concerts in my lifetime. Embarrassed you ask? Nope. Just mad I never squeezed seeing Hanson into that boy band sandwich. 6. I miss having my parents basement back home clean enough for me and my sister to roller blade down there. We used to spend hours pretending we were Olympic ice skaters in that basement. Ahh, the simple life. 7. As mentioned above, I have a sister. A younger sister, but everyone thinks we are twins. We are about 3 1/2 years apart in age. Definitely not twins. What do you think? Now on to the next part of my awardee duties...I must give this award to a few deserving chickadees myself! If they accept, they must also list 7 things about themselves and pass the award on to deserving bloggers! I'm giving the award to Lacey @ Courage Is Not An Image and to Mateya @ The Best Is Yet to Come. I love reading your blogs ladies! Readers, please check them out! Have a lovely Tuesday everyone! I've been to a yogurt bar once when I went back home for a vacation. Its a pretty cool idea, but I can totally see how easily it is to stack up the ice cream and candies. My kids LOVED it! I'm going to go check out Mateya's blog now. I am a new follower!! Congrats on your award! !